Why do we need ICS 100, 200, 700, and 800? Why do we need ICS Certifications? We require ICS 100, 200, 700, and 800 at a minimum but why? In a nutshell, the reason we need it is because our served agencies, Arapahoe County Sheriff and City of Aurora to name a few use it. Period. We MUST know where we fit in, how we fit in, and why we fit in so that we can blend in and contribute to solving the problem at hand. Maybe my introduction to ICS will be helpful to your understanding. I started out in the Volunteer Fire Department before ICS and everything worked great! Our mutual aid departments were also in Santa Fe County so we all followed the same training format and shared the same terminology. Our district, La Cienega Fire & Rescue, included Interstate 25 which meant we we shared a border with Sandoval County and also with Santo Domingo Indian Pueblo. Lucky for us, we all had the New Mexico State Fire frequency programmed into EVERY Fire/EMS/LE radio. This allowed us to talk and coordinate just fine. As time went on we kept reading and hearing about the firefighter fatalities and complete failure of firefighting in Southern California and it was then that people started talking about a “Unified Command.” In short and over a long period of time this evolved into what we now know as ICS. When ICS was thrust upon us, we thought, Hey!, our system isn't broke so why fix it? For me, it was an event/case study complete with video and graphic photographs that put it all in perspective. This is what I remember from almost 30 years ago...3 firefighters, in what you and I would call a Class A engine or pumper for slang were sitting on a ridge top in Southern California. This truck was not as big as the City Engines we see today, but was typical of rural fire engines. It was a relatively short wheelbase, had a pump that could push 1250 gallons per minute, and had a 500 gallon water tank. When they ran out of water they moved to top of the ridge line and radioed into their “Unified Command” and requested a tanker. California Department of Forestry acknowledged their request and told them to “sit tight” someone was on the way. As the 3 firefighters took a break they noticed a slurry bomber coming in for a run. I suppose they watched it with a sense of awe,as I have, until they realized it was headed straight for them. At the last second they dove underneath their Fire Engine to protect themselves. The weight of the slurry at the speed of the bomber hit the fire truck so hard it blew the tires out and bottomed out the suspension and killed the firefighters. But how and why did that happen??? They radio “Unified Command” that was supposed to fix all of the earlier problems! As a rural firefighter called out to wildland fires in other districts and areas it was clear to me that I needed to learn the new way so I did not end up like those 3 firefighters on that ridge line. ICS bridges the gap by providing common terminology, a common command structure, and a common duty. You ALWAYS know what YOUR role in the situation is, what the chain of command is, what everybody else' role is and everybody knows what frequencies are used for what communications. Another huge benefit of ICS is it's scalability. You can use it for an event like the Hayman fire and just as easily use it for a single car off the road with a handful or responders. As Radio Communicators you may put somebody's life at risk if you get the radio call for a Tanker and you send a Slurry Bomber!. This is why it's so incredibly important that you take the training seriously and every year you revisit it for updates. As someone who's been on the other end of that radio call and who put his life in the hands of that unfamiliar voice I cannot understate the importance of this! It's clear to me that we've done the ICS training but, we don't really use it so we don't fully understand it. At Agua Fria Fire & Rescue we made it a point to implement ICS in EVERY event we did. When we had public activities we did an IAP and we filled every ICS position. Some positions might have been filled by the same individual but every position was filled. When we had that 1 car rollover in the middle of the night we used ICS. There may have been 4 responders but we used ICS! That's how we learned it and I would like to see us start using it more in our events & training's. In the March 2016 edition of QST magazine, Public Service column pages 81 & 82 titled”Education – The Foundation of Preparation” K1CE gives writes “A brief guide to FEMA's Independent Study courses for he public service communicator.” I will send an e-mail out with this article attached in case you missed it. Please read it! 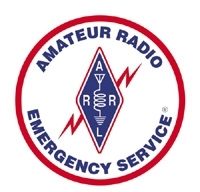 In the May 2016 QST, the same column pages 77 & 78 K1CE pen's an article titled “AUXCOMM – Intense Training for Incident Communications” in which he provides a “review of a tough Federal course for serious communicators.” This article will give you a heads up on what our Colorado AuxComm training will be like. I will send a scanned copy of it too. I hope my rambling has helped some of you, but if it's still clear as mud I ask that you let me know as I'm sure you aren't the only one. It is vitally important that YOU fully understand ICS before you participate in events with our served agencies.